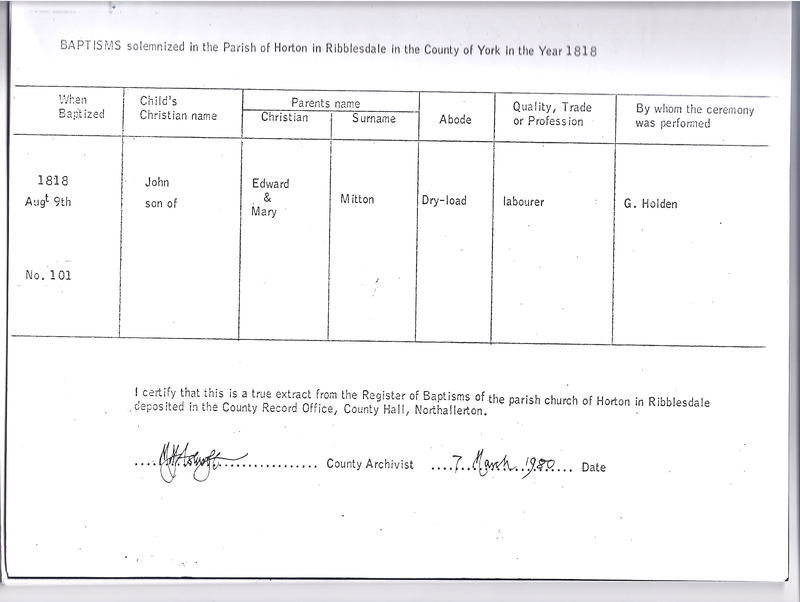 This is the certified record of Baptism of John Mitton (aka. 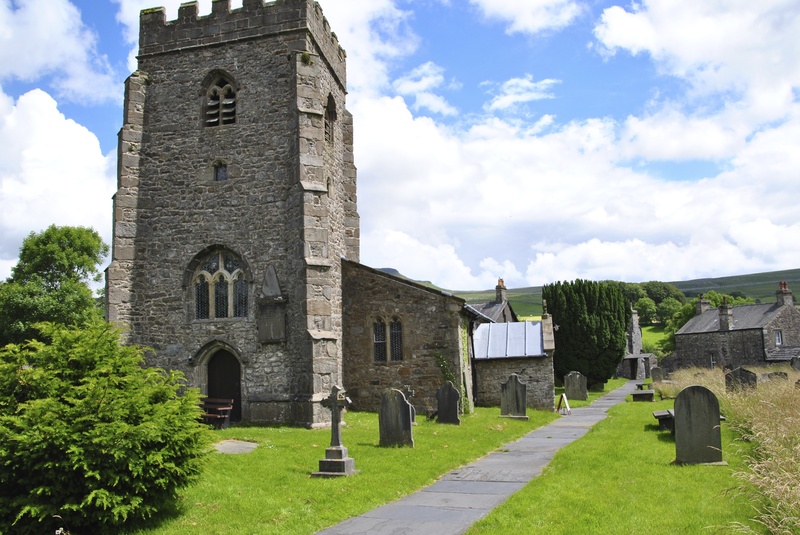 “Grover John”) born June 1818 at Horton-in-Ribblesdale and baptized Aug. 9th, 1818 in the church there. His father was Edman Mitton (who died in Kent County, Ontario), although here it is recorded as Edward and his mother was Mary Stott. Dry-load refers to the hamlet they were identified as living at. John was only 1 year old when his parents emmigrated to Canada, first arriving in New York. They then walked with their family, including John, 500 miles to Kent County, Ontario Canada. John Mitton as baptized became known as “Grover John” of Howard Township where he had a farm and later built a substantial brick house unusual for the area. Many Mitton descendants still live in the Ridgetown area of Ontario. 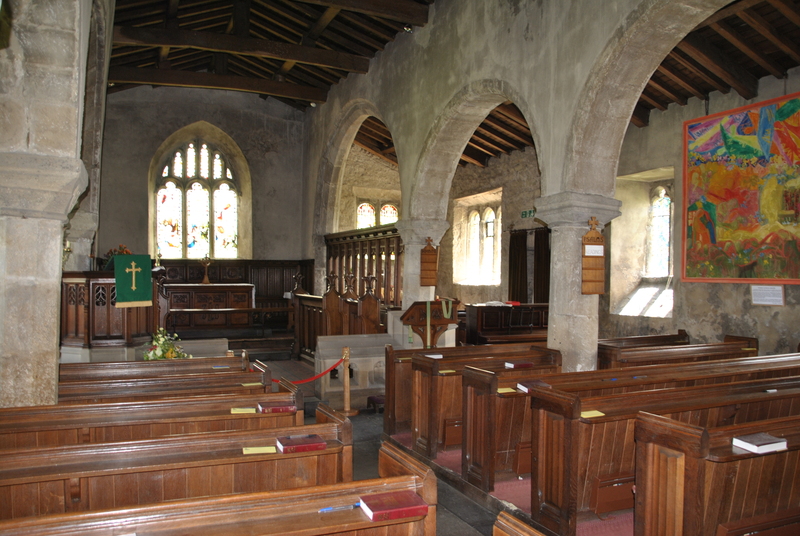 St. Oswalds in the parrish of Horton in Ribblesdale where Squire Joesph Mitton 1723-94 is recorded and John “Grover John” Mitton of Kent County, Ont. was baptized in 1818.